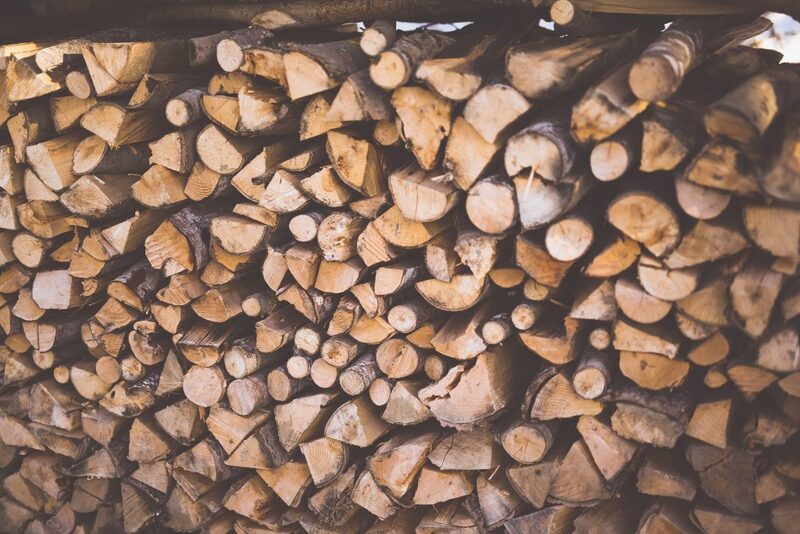 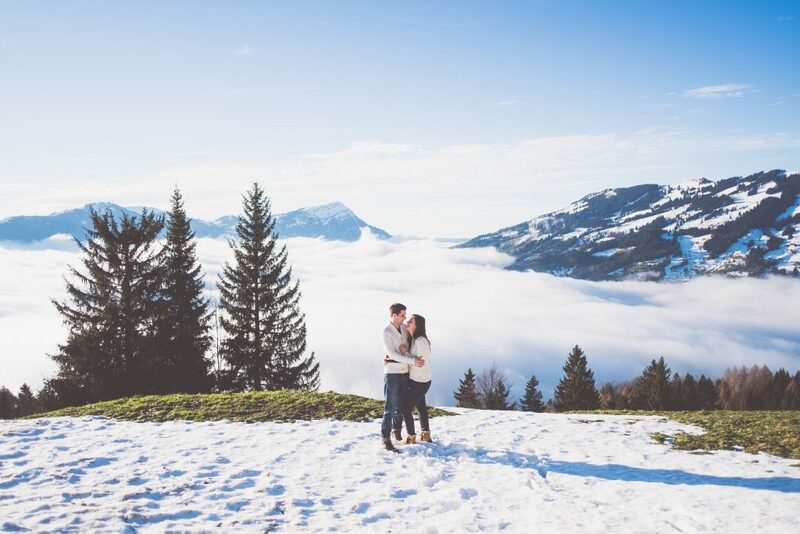 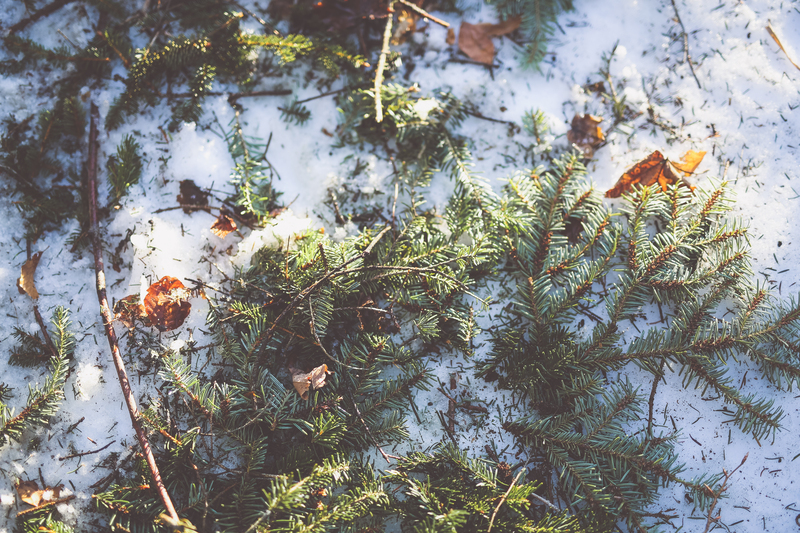 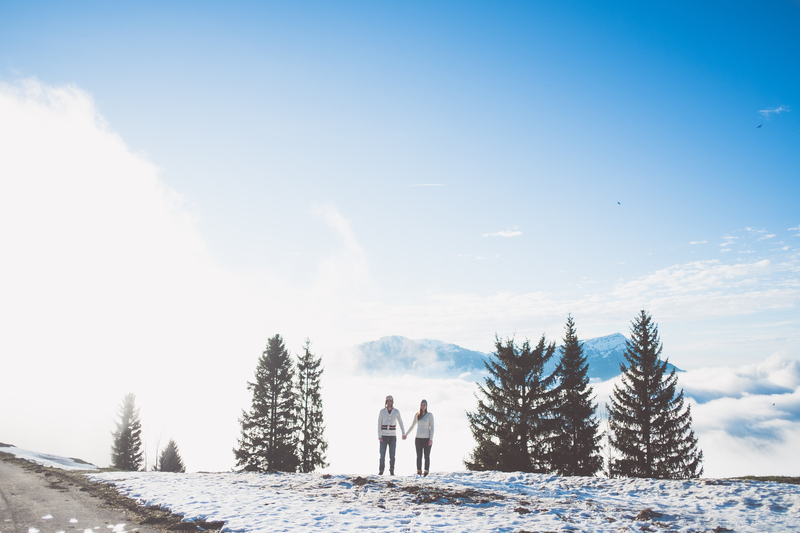 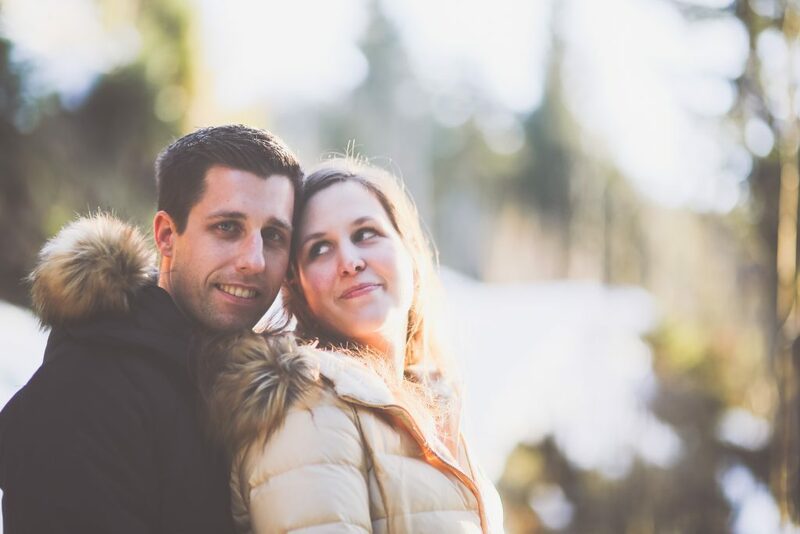 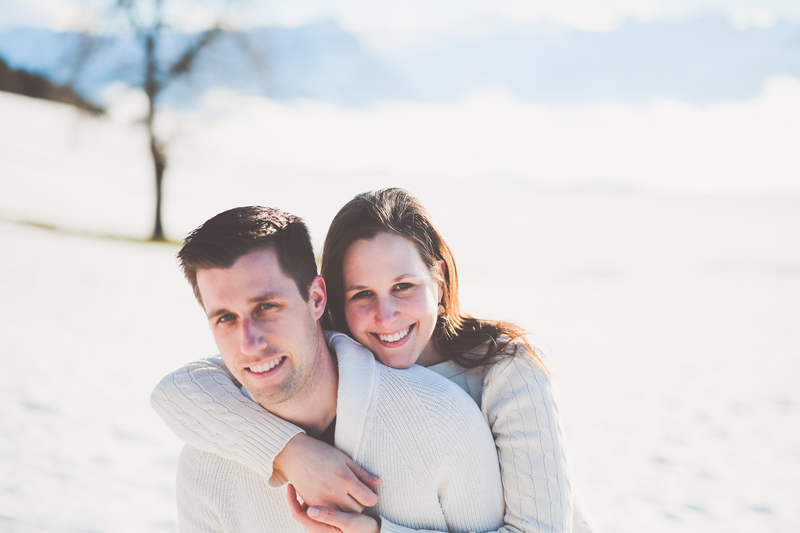 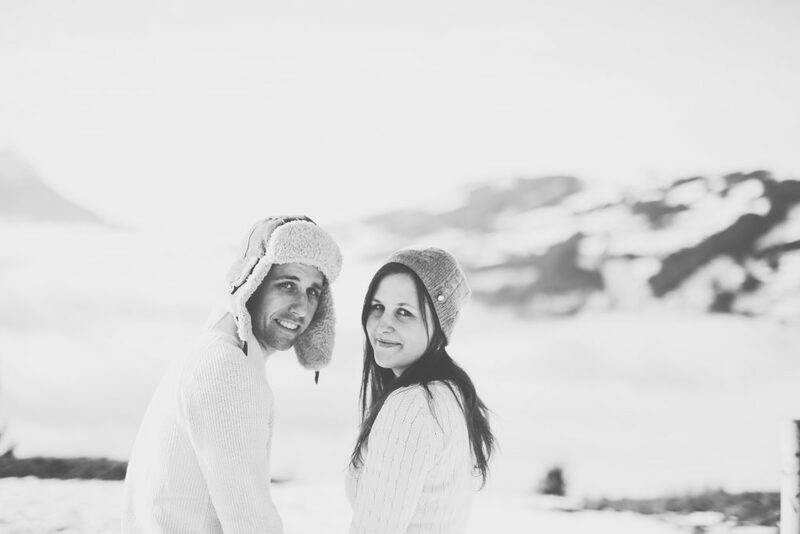 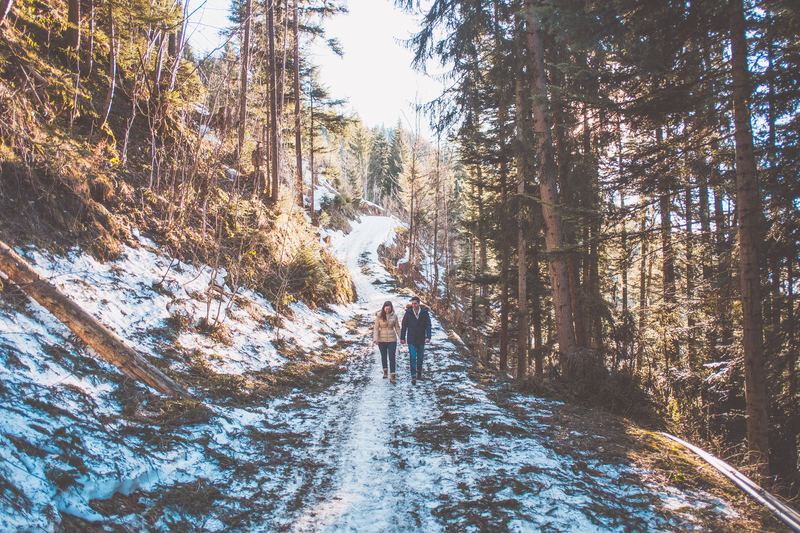 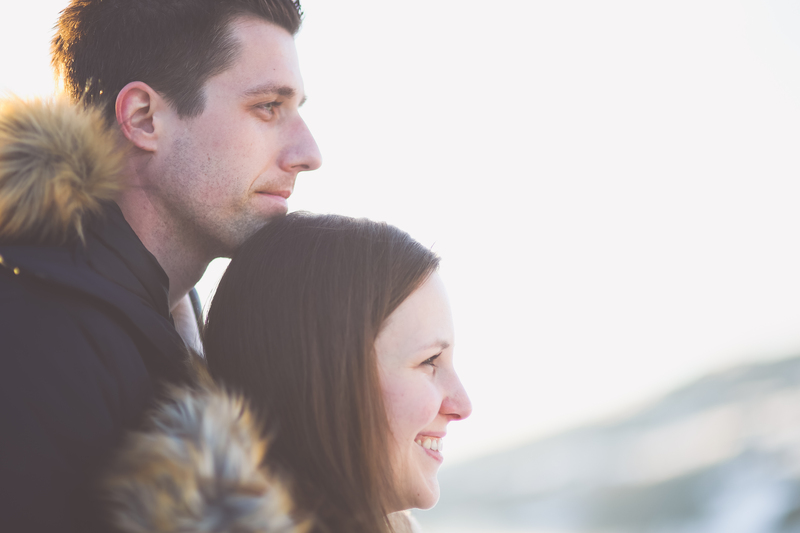 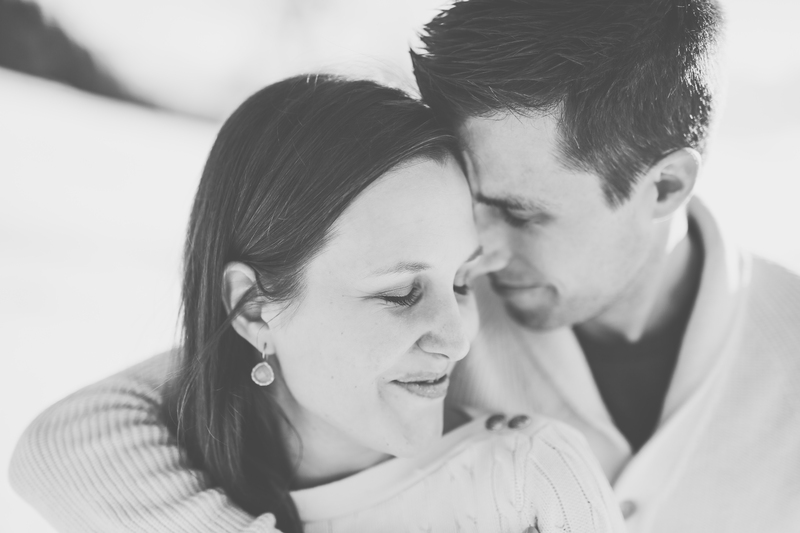 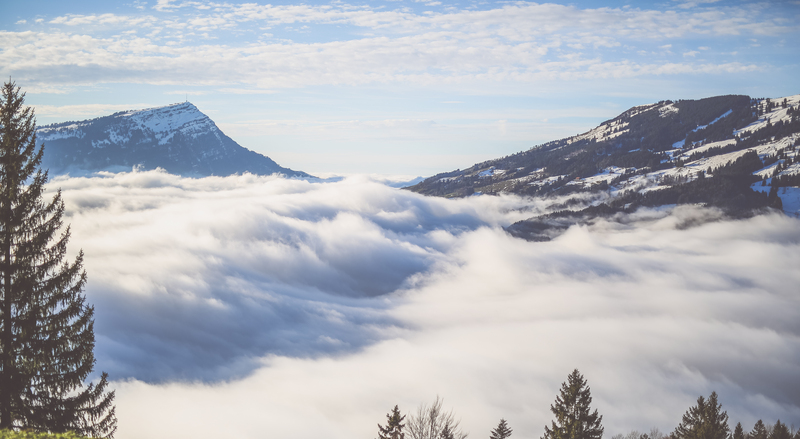 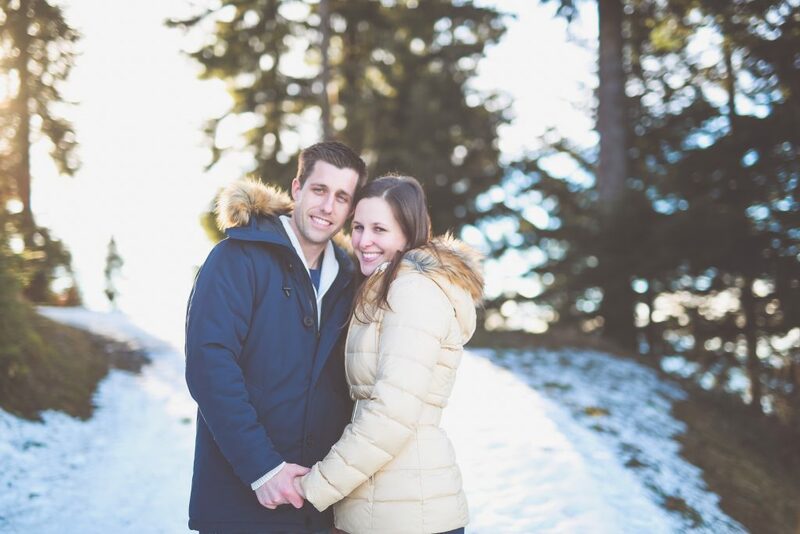 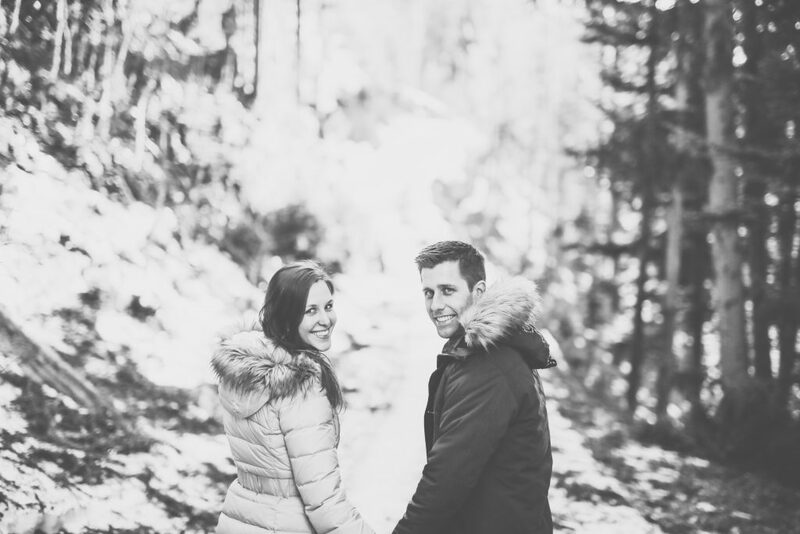 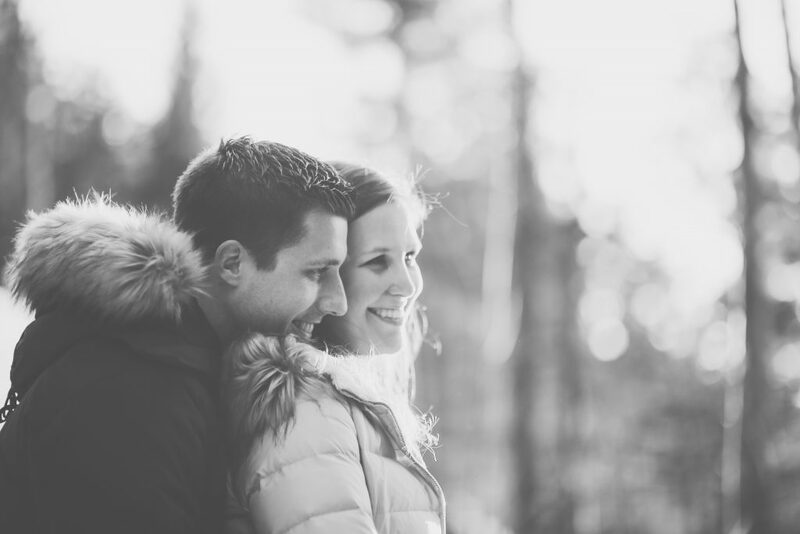 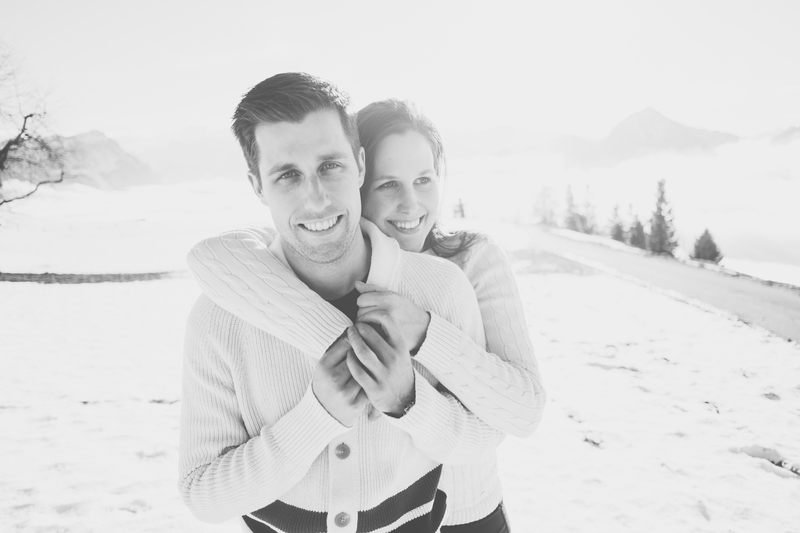 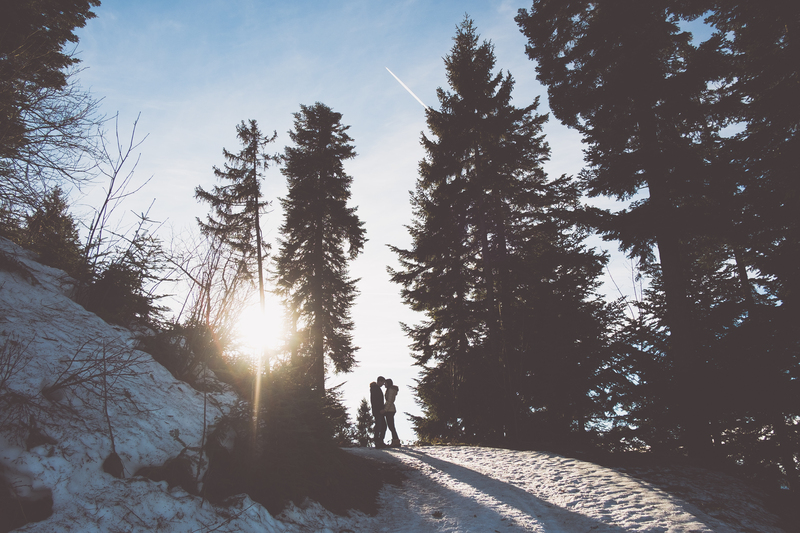 At the beginning of January, we met Sarah & Mätthi at the foot of the Mostelberg in Switzerland. 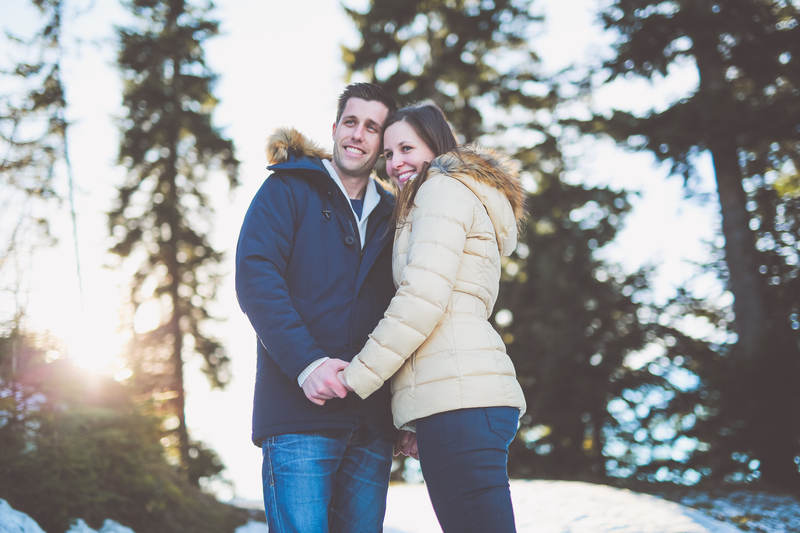 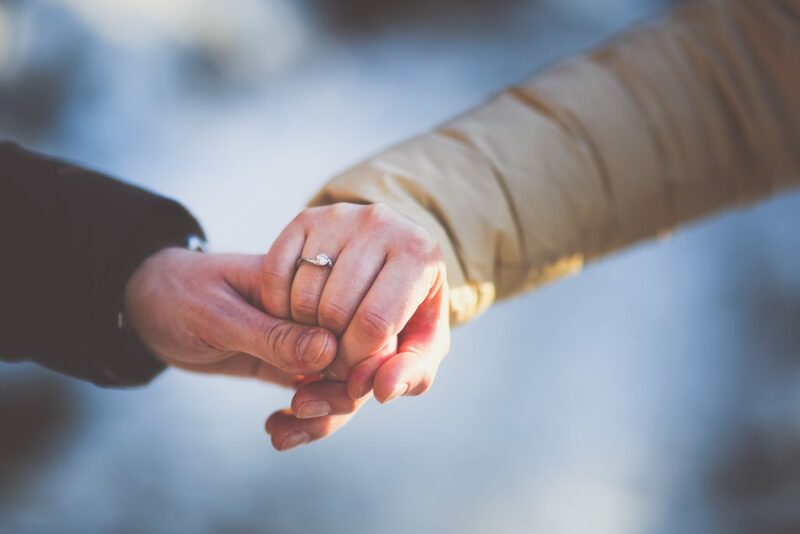 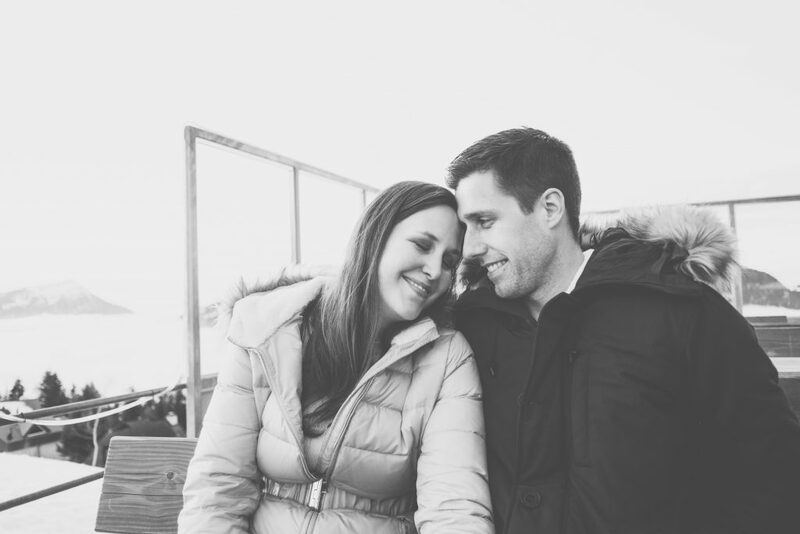 It was what seemed a grey and foggy day, but once we got onto the cable car and gained some altitude, the sun broke through beautifully for their engagement shoot! 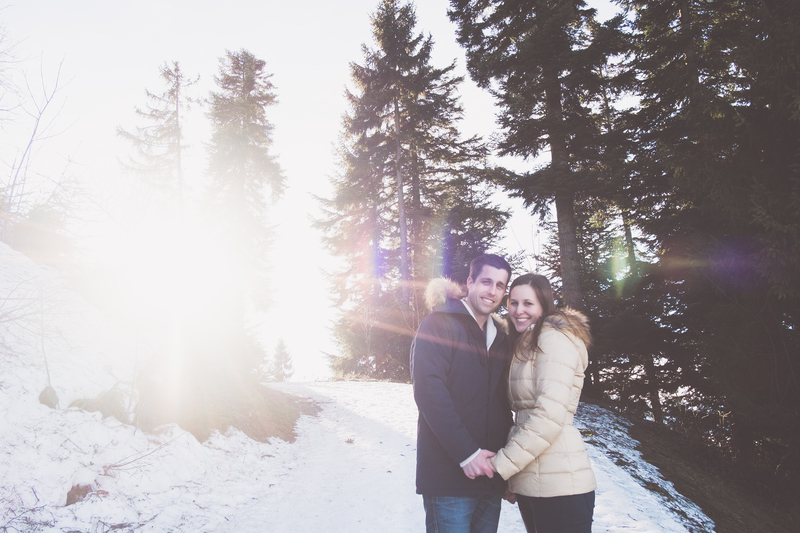 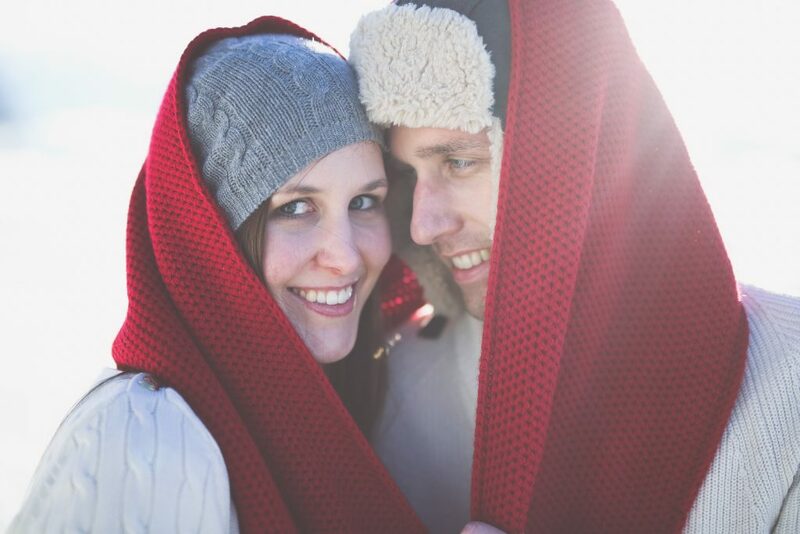 Sun – snow – mountains – and two beautiful, lovely people – the perfect recipe for some stunning photos!